…Reflective Roadside Heritage Style Signs, Double Sided. 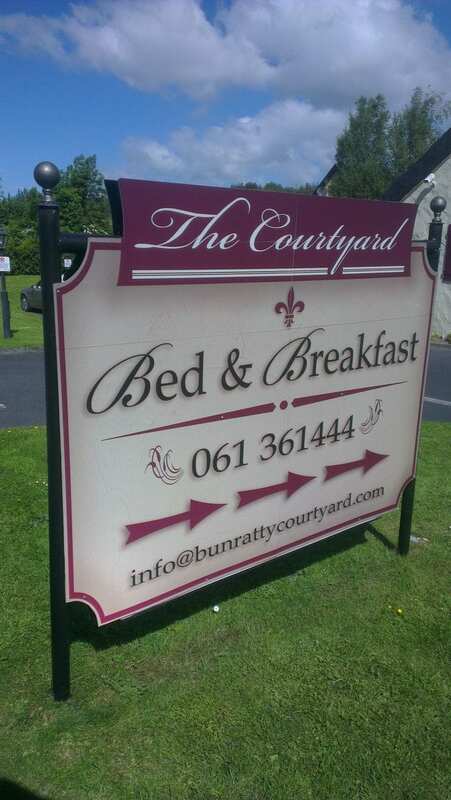 Mary and Michael Walsh with a B&B in Bunratty in Co. Clare wanted to raise their visibility and stay well within their budjet & not to threaten the ‘aesthetics’ of that Heritage of the village Bunratty. SignLynx quickly designed something to Mary’s liking that worked well within the locality. We then set about re-vamping the signage with Wrought Iron signs and they were both very pleased with the outcome. Shannon Heritage too commented on the quality design and suitability of the signs.